Official Albums & Songs – London Paralympics 2012. Sample or Purchase Paralympic Theme Music of the Opening Ceremony, Closing Ceremony and Official London Philharmonic Orchestra Soundtrack. If you are one of the projected billion people watching the London 2012 Olympic and Paralympic Games, you were surely impressed by the manner in which London represented athletes of many nations in the Olympic and Paralympic Games. Like the Opening and Closing Ceremonies of the Olympics, the London Paralympic Opening Ceremony was equally grand. With the Paralympic Closing Ceremony scheduled to begin on September 9, 2012, the artists and music is sure to be a hit with television viewers and those in attendance. Even after the final close of the games on September 9th, the official music is going to be a winning collection of hit songs and albums. Speculation has already begun for the official Closing Ceremony Music for the London 2012 Paralympic Games. During the Closing Ceremony there will be a parade of athletes and a long standing tradition when London hands over the Olympic Torch to Rio de Janeiro, Brazil in preparation for the 2016 Olympic and Paralympic Games. The London Closing Ceremony called Festival of Flame is expected to include a cast of thousands, with the British group Coldplay being the headlining act, along with performers Jay-Z and Rihanna. Other performers are said to be Jamiroquai, Bruno Mars, Jay Sean, and a orchestra of musicians with disabilities. If you wish to sample or purchase the Official Paralympic Music and London Philharmonic Orchestra Soundtrack, here are the albums currently available. The 3 disc collection of National Anthems by the London Philharmonic Orchestra is of particular interest since there hasn’t been a lot written about this official collection of music for the London 2012 Paralympics. 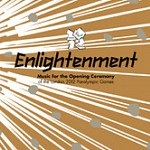 Enlightenment – Music for the Opening Ceremony of the London 2012 Paralympic Games is the first album. This is the title given to the 18 songs total by Various Artists. Celebrating the spirit of the Olympic Games, the 18 songs on Enlightenment were made available at iTunes on August 20, 2012. The 18 songs available as a complete album or individuals downloads are primarily numbers from the London Symphony Orchestra including Entry of the Flame, with other songs by Barts Choir, The London C, Orbital & Graeae Theatre, Beverley Knight, and Rihanna. There is also a Digital Booklet available at iTunes. National Anthems – The Official Recordings of the London 2012 Olympic and Paralympic Games is the fore mentioned 3 Disc album of Official Olympic Music having a total running time of over 4 hours 30 minutes. The 3 Disc collection performed by the London Philharmonic Orchestra is comprised of 207 songs total. 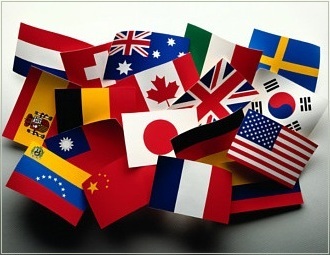 Each of the 207 songs is titled and listed alphabetically by countries participating in the Paralympic Games. The two song videos below are the popular hit songs Clocks, and Viva La Vida by the pop British group Coldplay, who have sold over 55 million albums and won countless music awards worldwide. The video for the theme song Viva La Vida by Coldplay is shown directly below the Clocks song video. Although Coldplay’s hit single Viva La Vida, with over 108,000,000 views at Youtube is going to be the Bandstand Festival of Flame Theme Song for the London Paralympic Closing Ceremony, Clocks with over 11,000,000 views is another great way to salute the UK and England, the official site of the London 2012 Olympic and Paralympic Games. As the site host for New Age Music World I can say its been a privilege to be part of the music news coverage for the London 2012 Olympic and Paralympic Games. See you in 2014-2016! 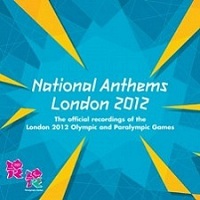 Sample or purchase London Philharmonic Orchestra’s 3 disc collection of Paralympic National Anthems at Amazon.co.uk. Sample or purchase the Official Paralympic Opening Ceremony album by visiting iTunes to buy Enlightenment – Music for the Opening Ceremony. For people asking about the London 2012 Paralympic Closing Ceremony Album – Music for the Closing Ceremony has not been made available for purchase. Big Stock Photo credits – Jimbarber & Pcummings.